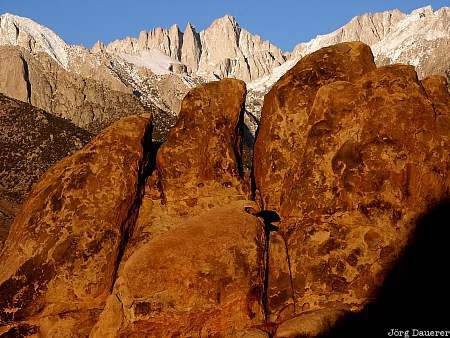 Mount Whitney behind typical rocks of the Alabama Hills illuminated by warm morning light. The Alabama Hills are in the Owens Valley in eastern California, United States. This photo was taken in the morning of a sunny day in October 2002. This photo was taken with a digital camera.